I'd really like to try my hand at mixing muted metals as a way to infuse a more masculine aesthetic by incorporating brass and matte black hardware in the design. Nothing too soft or precious. I read somewhere that every room should have some sort of vintage element. Whether it be an old framed photo, a vintage rug to ground the room or a decorative accessory on a shelf, old things make the space feel used, warm and inviting. Like your favorite pair of jeans. I really like that! I would also add to that guideline an indoor plant or two - makes the room feel alive! Now for the technical construction details that which is John's domaine. The general footprint of the bathroom will stay the same. When you walk through the double doors in our bedroom into the bathroom, you are looking straight at the double sink vanity. To the right is the toilet closet and tub. To the left is the shower and walk-in closet. Here are some before pictures for reference. Basically, everything must go - down to the studs. I'd say that tackling this bathroom will be equal parts: knowledge from previous experience, educated guessing, and YouTubing along the way. We are going to take it little by little. Issues will most like arise and plans will probably get altered. We are excited to knock this project off the list and gain a ton of bathroom renovation experience for the future! We would love for you to engage with us during this project here on the blog as well as on our Instagram (Stories too). Do you have any bathroom renovation advice or tips for us? 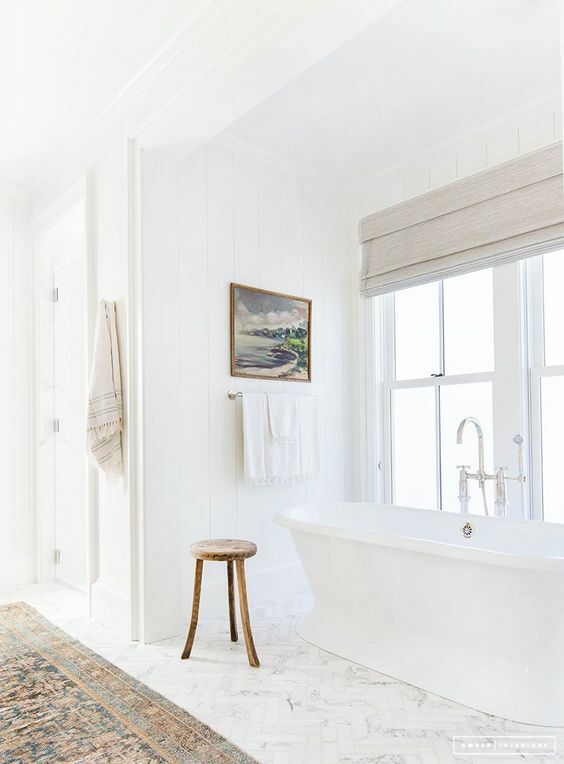 What are features that you especially enjoy in your bathroom? Leave a comment! We want to hear from you!